We’d love your help. 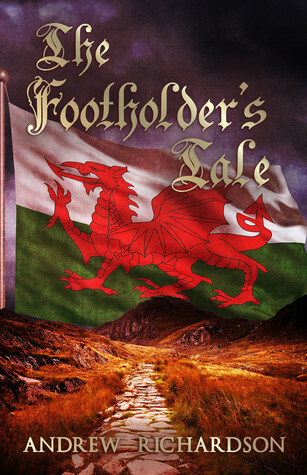 Let us know what’s wrong with this preview of The Footholder's Tale by Andrew Richardson. Math, King of Gwynned, will die without a maiden’s magic to soothe his battle-injured foot. In a court rife with envy, greed and cunning, Math must choose a successor. His younger nephew falls in obsessive love with the beautiful new Foot Holder and he and his scheming brother plot to win her and at the same time ruin her – a plan which could mean the King’s death. Will th Math, King of Gwynned, will die without a maiden’s magic to soothe his battle-injured foot. In a court rife with envy, greed and cunning, Math must choose a successor. His younger nephew falls in obsessive love with the beautiful new Foot Holder and he and his scheming brother plot to win her and at the same time ruin her – a plan which could mean the King’s death. Will the maiden's bonding with the King cost her life or can she overcome treachery and save both King and kingdom from being torn apart? To ask other readers questions about The Footholder's Tale, please sign up. Steeped in mysticism and rich in lore...without sacrificing the passion and romance. I was unfamiliar with this legend but am now curious about more celtic and welsh legends. Super read, I really enjoyed! Touching, beautifully written, atmospheric and historically accurate. Andrew's novels have been published by Eternal Press, Dark Realm Press, Rogue Phoenix Press and Rebel ePublishers. His shorts have been published in a variety of UK magazines. When not writing, Andrew follows Aldershot Town Football Club and enjoys visiting historical sites - Celtic myth and history play an important part in most of his stories. Andrew is married with one son.